Bus users in Cornwall have been given less than a week to familiarise themselves with timetable changes to bus services across the county. Cornwall Council announced the changes on Monday, six days before they come into effect, with some bus users concerned by the short notice. Steve Nicholson, public transport officer, said: "Some of these changes have to be done near enough at the last moment because of the scale of the thing. Phil Tonks, from Bus Users UK, said: "I don't think a week is really enough notice. I'd certainly hope to see these sort of things given at least three to four weeks in advance, maybe even longer." I am not really sure why passengers are only being given a week's notice by Cornwall County Council. I don't really understand the Transport Officers comment about the changes being done at the last moment as most of them have been available on the bus company web sites for some time now, and indeed there is a minimum amount of notice for registering any normal timetable changes (although this can be less in certain circumstances). Most of the routes being changed are in deepest Cornwall with a lot of extra work for Western Greyhound who must be close to being the main operator in Cornwall. From a Plymothian Transit perspective there are a couple of changes of note. Today we start by looking at the Callington - Launceston - Bude corridor and tomorrow we look at the Torpoint route changes. With the timetable change on 27th September 2009, we are delighted to commence running of the 576, a new Western Greyhound service which replaces Service 76 run by First Devon and Cornwall. Due to objections raised by First Devon and Cornwall, however, we are currently unable to implement this service as previously advertised. Daytime journeys from Callington to Plymouth, enabling through travel all the way from Bude to Plymouth, will now operate from the 8th November 2009. When the full timetable is implemented it will make the Plymouth to Bude run a lot easier. As it stands it appears that there might be full on competition between Plymouth and Callington unless FDC are withdrawing from the route completely? the plymouth to callington/launceston is the only profit making section of the route, very few travell all the way through and may just go to exeter instead now?? Perhaps First will fight their corner for the Callington - Plymouth section then! I may be missing something here, but it appears that First may be complaining about the subsidised WG service from Bude abstracting revenue from their commercial service between Plymouth and Callington. But, First cannot have it both ways! 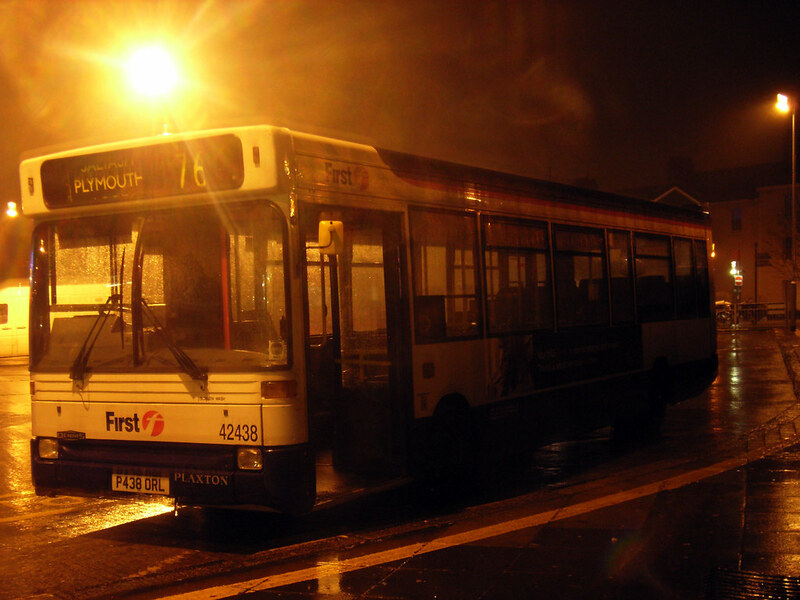 First's operating costs to run the Bude service should surely have been far less than anyone else's, as the Plymouth to Callington stretch is for them already 'bought and paid for' as a commercial route in its own right. So if they had submitted a bid even remotely close to what it would actually cost them to extend from Callington to Bude, they should have won the tender hands down. If however they choose to try their luck with an extortionate bid, and get beaten, then they cannot be surprised when another operator turns up on the route instead, including the bit that is commercially viable! seems to me to be outrageously hypocritical, and in total disregard for the travelling public. Not to metion holding the tendering authority to ransom as well - effectively saying that no-one except First can be awarded a Plymouth to Bude contract.